Feel as strong and swift as a wolf when you equip the Wolf Head Sword Frog! This handmade leather sword frog is perfect for LARP swords, axes, and daggers. The wide front accent panel features an antique brass wolf head concho. 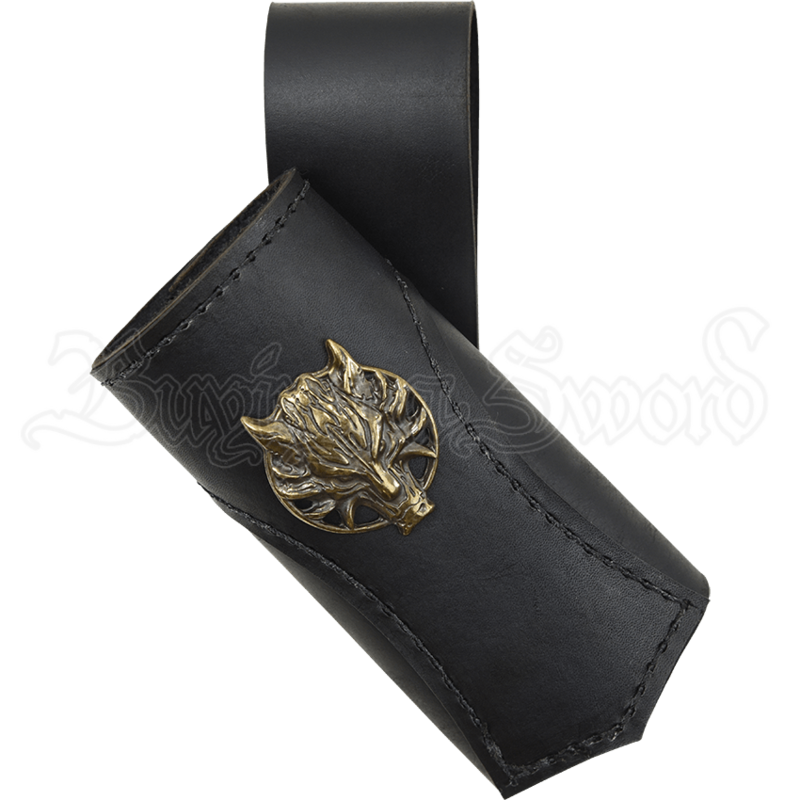 Made of a soft, yet sturdy 5/6 ounce chrome tanned leather, the tube-shaped body of this leather frog is perfect for LARP weapons. The accent panel on the front is made of 3/4 ounce vegetable tanned leather and comes in a variety of color options. A belt loop on the back makes it easy to wear at your side on belts up to 3 inches wide. 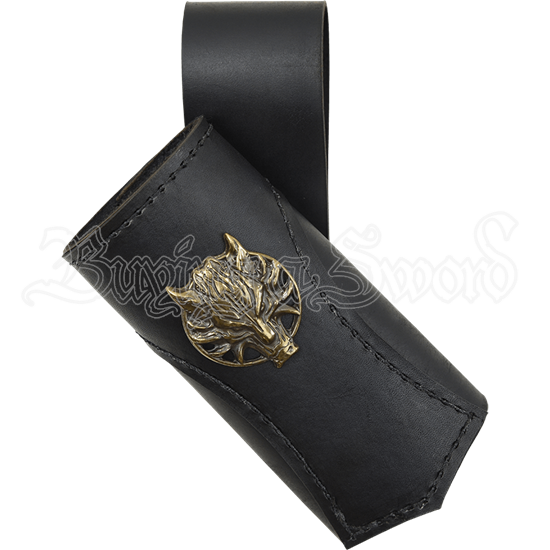 Invoke the wild spirit of the wolf at your next LARP event when you carry your weapon using this medieval leather sword frog.